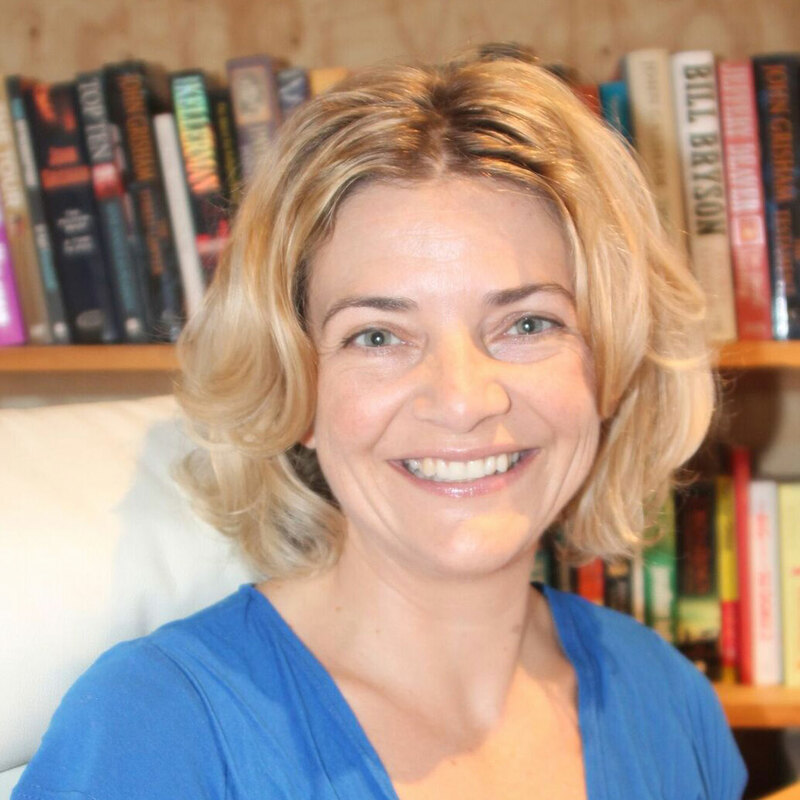 Dr Jane Rich is a qualitative health research academic with the Centre for Resources Health and Safety in the School of Medicine and Public Health. She is a human geographer with special interests in how psychosocial and environmental factors impact health and wellbeing. Jane's PhD explored women’s experiences with drought in Australia and the mental health and ageing implications of this. Dr Rich has a background in Human Geography and Public Health. For 8 years Jane worked on the Australian Longitudinal Study on Women's Health. Jane's PhD research drew on innovative methods to explore women's experiences of drought in Australia. Jane's research interests explored how human health and well-being is linked with the natural environment. Dr Rich's analytical expertise ranges a spectrum of qualitative methods. She has conducted Content, Thematic, Narrative and Longitudinal qualitative analyses. She has also conducted mixed methods analyses, linking both qualitative and quantitative data together for a holistic approach to research. For example, in her PhD interviews were linked with geo-coded national rain fall data. She has advanced skills in using computer assisted software tools for qualitative analysis (Leximancer and Nvivo) as well as experience with manual processes. She has experience in conducting, interviews, focus groups and analysis with existing data sets including free-text comments from surveys. Dr Rich has extensive knowledge of qualitative methodology and appreciates theories that value people’s lived experiences and strives for a holistic and encompassing approach to examining health and wellbeing. Dr Rich currently has a diverse and interdisciplinary workload as a postdoctoral research fellow. Her current research examines health and wellbeing through multiple lenses. For example, chronic disease and mental health, service access and needs in rural communities, workplace health and wellbeing, and gender. Jane has extensive grant writing experience and has presented at many conferences both nationally and internationally. In addition to her academic research she enjoys teaching at the University of Newcastle. She has taught in the foundation studies programs, environment sciences, humanities and the medical program. Dr Rich is a competent and passionate early career researcher with excellent communication skills. © 2018, Springer-Verlag GmbH Germany, part of Springer Nature. Purpose: Many major studies of depression in Australia are under-representative of rural and remote residents, limiting the generalizability of their findings. This study explores the contributions of a range of individual, social, and community factors to the trajectory of depressive symptoms among a cohort of rural and remote residents. Methods: Data from four waves of the Australian Rural Mental Health Study (baseline n = 2639), a 5¿year longitudinal study of rural community residents, were examined within generalized linear mixed models to predict depressive symptoms. Depression was measured using the PHQ-9, with key correlates including social support, employment status, financial wellbeing, neuroticism, and rural community factors. Results: Moderate-to-severe depression was reported by 6.3% of the baseline sample. Being permanently unable to work resulted in over a threefold increase in the odds of depression at the following survey wave. Self-rated financial hardship was associated with a fourfold increase in the odds of future depression, as was a high level of community concerns. Neuroticism and tobacco use also made a significant independent contribution to future depressive symptoms. Interpersonal support was a protective factor, reducing the odds of next-wave depression by 64%. Conclusion: Financial and employment-related difficulties appear to be important risk factors for depression, and targeting individuals experiencing such difficulties may be an effective means of reducing depression among certain sub-groups. Strategies to prevent depression in rural and remote Australia may benefit from a focus on interpersonal and community-level support, as the effects of this support are lasting and contribute to a reduced likelihood of depressive episodes in future years. © 2018, Swiss School of Public Health (SSPH+). Objectives: Globally, Indigenous people have lower-health status compared to non-Indigenous people due to unequal access to health care. Barriers or enablers to accessing maternal health services by Indigenous women are not well researched. This review aims to determine accessibility and utilisation of maternal primary healthcare services among Indigenous women in lower- and middle-income countries. Methods: We conducted a systematic integrative review of published and grey literature published between 2000 and 2017. Studies on maternal healthcare service utilisation by Indigenous women in lower- and middle-income countries were included. From 3092 articles identified, 10 met the eligibility criteria. Results: The most prominent barrier to accessing maternal primary healthcare services was the top-down nature of intervention programmes, which made programmes culturally unfriendly for Indigenous women. Distance, cost, transport, accommodation, language barriers and lack of knowledge about existing services also impacted access. Conclusions: Findings provided insights into understanding the gaps in existing policies for Indigenous women and their access to maternal health services. Results suggested that efforts be made to ensure appropriate programmes for Indigenous women¿s maternal health right. © 2016, Southeast Asian Association for Institutional Research. All rights reserved. Universities in many countries are facing the challenge of recruiting and retaining high quality academics. The exit of baby boomers in the academic workforce is significant with lack of strategy to attract, support and retain women in their early career as academics and researchers. This challenge is enormous in developing countries despite democracy, academic freedom, stability, sustainable economy, and free education at higher degree research level. This paper outlines the current dilemma in Fiji in relation to the succession of women in academic roles. The paper analyses the representation of female academics at the University of the South Pacific (USP) and strongly argues the need for higher education reforms which includes strategies to provide opportunity for young females and other underrepresented groups in the academic workforce. The paper also suggests possible strategies to increase the participation of women in the academic workforce in Fiji based on current and future political environment. In 2013, the Blue Mountains region of NSW experienced devastating bushfires. In response, the Step By Step Blue Mountains Bushfire Support Service was established by the Ministry of Police and Emergency Services and a local Blue Mountains service, Gateway Family Support. The service was to support bushfire-affected community members through a strengthsbased and solution-focused approach. This approach has been used in other support services but limited evidence exists on the effectiveness of its use in disaster recovery. The integration of research in the early stages of disaster recovery service design may prove a valuable way to support the work of governments and service delivery organisations and is an important aspect of disaster preparedness and community wellbeing. This paper highlights the vulnerability of the Blue Mountains region to bushfire and examines the 2013 response by the Ministry for Police and Emergency Services Disaster Welfare Service (DWS) in association with Gateway Family Services. The DWS and Gateway Family Services collaborated to implement the service. This paper concludes that support services should be flexible in their response to dealing with those recovering from traumatic experiences such as bushfires. It demonstrates that evaluation of existing disaster support programs could better inform future disaster responses and services to assist communities to better cope and rebuild their lives. © 2015 Diabetes UK Aims: To examine the prevalence and correlates of suicidal ideation (SI) in a community-based sample of adults with Type 1 or Type 2 diabetes. Methods: Participants were 3338 adults aged 18¿70 years with Type 1 diabetes (n = 1376) or Type 2 diabetes (non-insulin: n = 1238; insulin: n = 724) from a national survey administered to a random sample registered with the National Diabetes Services Scheme. Depression and SI were assessed using the Patient Health Questionnaire, and diabetes-specific distress with the Problem Areas In Diabetes scale. Separate logistic regression analyses by diabetes type/treatment were used to determine relative contribution to SI. Results: Overall, we observed a SI rate of 14% in our sample. Participants with Type 2 diabetes using insulin reported more frequent depressive symptoms, and were more likely to report recent SI (19%) compared with those with either Type 1 diabetes or Type 2 diabetes not using insulin (14 and 12%, respectively). After controlling for depression, there was little difference in the prevalence of SI between diabetes types/treatments, but higher diabetes-specific distress significantly increased the odds of SI. Conclusions: As SI is a significant risk factor for a suicide attempt, the findings have implications for healthcare professionals, pointing to the importance of adequate screening and action plans for appropriate follow-up of those reporting depression. Our findings are also indicative of the psychological toll of diabetes more generally, and the need to integrate physical and mental healthcare for people with diabetes.